Rice is the staple food for billions of people throughout the developing world. But beyond easing hunger pains and providing carbohydrates for energy, it has little nutritional value. It means many people who depend on rice as a staple food are effectively being starved of essential micronutrients such as iron, zinc and pro-vitamin A.
Nutritionists call it “hidden hunger”. The World Health Organisation estimates two billion people, or 30 per cent of the world’s population, are anaemic, in many cases due to iron deficiency. This condition leaves people weak and lethargic and poses a significant and even fatal health risk to pregnant women and their children. Equal numbers are at risk of zinc deficiency with severe health consequences including stunted growth and impaired immune function. Rice biofortification researchers in an Indonesian rice field. 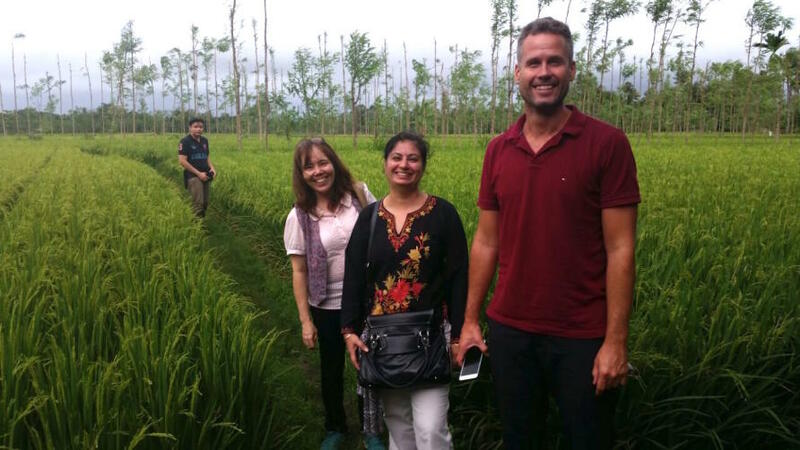 From left to right: Conrado Dueñas (International Rice Research Institute), Inez Slamet-Loedin (International Rice Research Institute), Prabhjit Chadha-Mohanty (International Rice Research Institute) and Alex Johnson (University of Melbourne). Picture: University of Melbourne. But researchers are now on the cusp of making a real difference. University of Melbourne plant geneticist Dr Alex Johnson and colleagues have created a genetically modified (GM) rice that produces grain with significantly more iron and zinc through a process called biofortification. And field trials have now shown that the biofortified rice is just as high yielding as conventionally bred rices. In results recently published in Scientific Reports, an open access journal from prestigious scientific publishers Nature, Dr Johnson and colleagues describe how they were able to grow iron and zinc biofortified rice plants in the field. Rice grains usually contain just 2-5 parts per million (ppm) of iron. 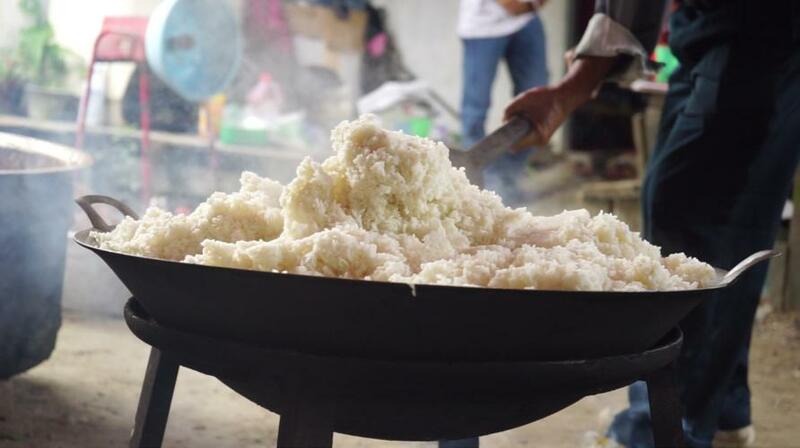 The researchers were aiming to increase that to at least 13 ppm to address iron deficiencies in rice-based diets. They managed to get to 15 ppm. Similarly, they had been targeting to increase the amount of zinc from 16 ppm to 28 ppm, but they managed to get to 45 ppm. Crucially, the field-testing also showed that while the genetic modification had enabled the biofortified rice to take up more iron and zinc from the soil, it didn’t increase the take up of harmful heavy metals such as cadmium. “There are no deal breakers in these results. We have proven our concept in a major variety of rice, and we are now ready to move this into a developing country,” says Dr Johnson. Billions of people around the world are dependent on rice as a staple food, but a shortage of key nutrients in the grain is putting people at risk of malnutrition. Picture: University of Melbourne. “Over time that should lead to healthier and more productive populations in the developing world, boosting local economics and eventually supporting more diverse and balanced diets. Dr Johnson’s research has been funded and supported by several partners including the Australian Research Council and the not-for-profit HarvestPlus initiative. HarvestPlus is backed by the Bill and Melinda Gates Foundation and is tackling hidden hunger in developing countries with biofortified crops. Dr Johnson’s ambition is that farmers around the world would face no additional cost for adopting the iron and zinc biofortified rice. Dr Johnson, an American who later also became an Australian, did his PhD at Virginia Tech in the US where he worked to genetically modify potatoes to create resistance to the Colorado Potato Beetle. They also found that it increased the uptake of zinc. “It was a dream result,” says Dr Johnson. 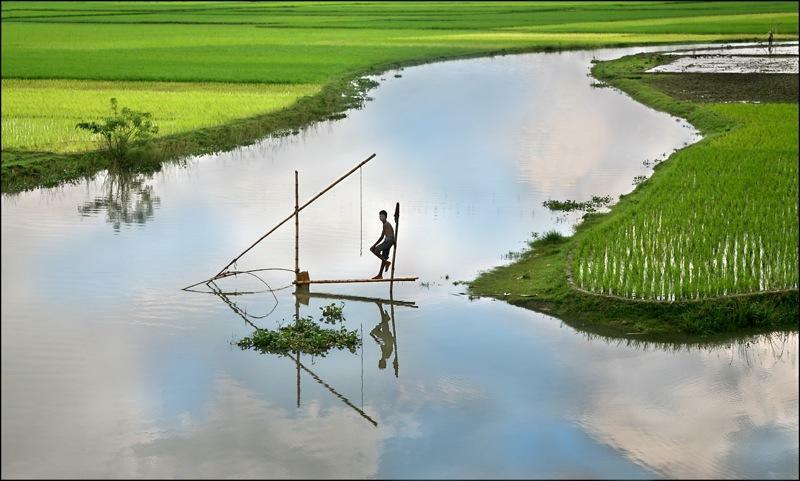 Fishing among rice fields in Bangladesh. The country could be the first where iron biofortified rice is released. Picture: Michael Foley/Flickr. His fascination with plants goes back to his childhood when he was enthralled by seeds growing into something that his family could eat. He remembers following his mother around the garden and impatiently digging up her plants to see what they looked like as they were growing. Now as a scientist, he has had to learn the patience of a good gardener. Dr Johnson and his colleagues are now aiming to introduce the iron and zinc biofortified rice into Bangladesh where almost 80 per cent of cultivated land is dedicated to rice, but where more than half of all children and 70% of women are iron deficient. He says iron biofortified rice could have a huge impact in this country. Another reason that the team is targeting Bangladesh is that it has already released other GM crops such as an eggplant variety that has allowed farmers to drastically reduce their insecticide use. GM crops are controversial because of concerns from some, including Greenpeace, that such crops may have unforseen consequences that could eventually harm the environment and pose a health threat. But Dr Johnson says that there is a wealth of information showing that GM crops are safe and notes that over a hundred Nobel Prize winners from a range of mostly science disciplines, recently penned a letter asking Greenpeace to end its opposition to genetically modified organisms. Learn more at The Empty Bowl this Sunday at the University of Melbourne’s Open Day.